Penn State’s James Franklin overrated? Relax, Nittany Nation. James Franklin, Penn State head coach, was ranked as one of the most overrated coaches in college football. CBSSports.com has released one of its findings from a poll of college football coaches, showing Penn State's James Franklin is tied for first place among "the most overrated coaches" in the sport. Those findings have Nittany Nation fighting mad, but a little perspective is needed. The website said the poll, the results of which were released Sunday, consisted of its college football writers fanning out and questioning "one-fifth of the 129 active coaches leading FBS teams entering the 2018 season." One-fifth of 129 is 25.8. So if you round that to 25 and see that Franklin received 20 percent of the vote, that adds up to five coaches who felt he was "most overrated," or 3.9 percent of the entire FBS head-coaching fraternity. The most disparaging remark toward Franklin was an anonymous coach saying, "His coaching peers know he's full of it." Franklin tied for the "honor" with first-year Florida State head coach Willie Taggert, who spent one season at Oregon last year. Kirk Ferentz of Iowa and Lane Kiffin of Florida Atlantic each received 13 percent of the vote, or a measly three votes each. 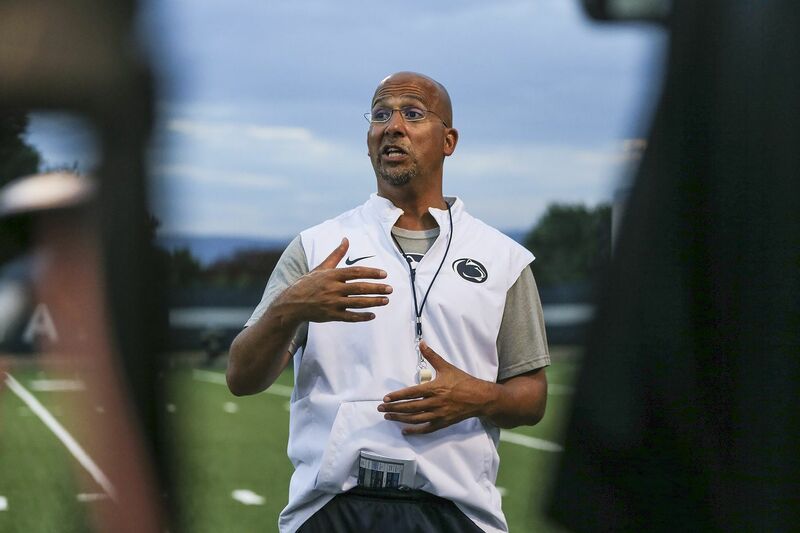 Maybe there is a personality issue involved with some coaches toward Franklin, but he has gotten results at Penn State, bringing the program out of NCAA sanctions and winning a Big Ten championship in his third year on the job in 2016. The Nittany Lions enter 2018 coming off back-to-back 11-win seasons and appearances in New Year's Six bowl games. Since suffering a 49-10 pounding at Michigan in the fourth game of the 2016 season, the Lions are 20-3, twice losing (to Southern California and Michigan State) on field goals on the final play of the game, and suffering a 39-38 defeat at Ohio State. Franklin also has made a mark as a recruiter, finishing in the top 15 with his 2017 class and in the top six for 2018. The 2019 class is rated in the top 15 in team rankings to date. CBSSports.com said poll results of other questions would be released in the next two weeks.